So we can give the folks at Townsquare Media in Albany the satisfaction of knowing that this time, they got us. Our midweek update on Wednesday obligingly reported the imminent launch of soft AC “Sunny 99.1” on W256BU, the translator Townsquare recently bought (for nearly a quarter-million dollars) and had been using to relay WQSH (105.7 Malta). It made sense, really – there’s a “Sunny” doing soft AC on a similar translator just down I-88 in Binghamton, there’s the AC format on WYJB (95.5) over at the rival Pamal/Albany Broadcasting cluster, and there was a pretty convincing website and Facebook page for the new format, too. Townsquare put some serious effort into the stunt on the air: there was a day of protest music (“Occupy 99.1”) and a day of songs with “Sun” or “Sunny” in the title, and then on Friday afternoon at 3, Townsquare launched…a new urban station, “Hot 99.1,” fed from the HD2 channel of WQSH. Assuming this one’s for real (and we think it is), the new “Hot” also goes up against a Pamal property, “Jamz 96.3” (WAJZ Voorheesville) – and it does so with the help of the former WAJZ program director, Tanch, who just made the shift from WAJZ to Townsquare. Tanch will be doing afternoons on “Hot” once the new signal debuts air personalities. With 250 watts from the same Bald Mountain transmitter site north of Troy used by WQSH, “Hot” enjoys a decent signal in Troy and an adequate signal in Albany, with fringe coverage at best to Schenectady – but it’s up against a WAJZ signal that’s barely stronger. “Jamz” runs 470 watts from the Helderbergs, southwest of Albany, and as we noted in our midweek update, it has a new face in the general manager’s chair: after retiring as general manager of the Townsquare cluster just a few months ago, Bob Ausfeld has “un-retired,” becoming GM at Albany Broadcasting. *Once upon a time, there was no bigger radio station in Albany than WPTR. Despite a dial location somewhere “up near the police calls,” its 50,000 watt signal on 1540 blasted out top-40 music to a huge audience in the market. So it’s somewhat disconcerting to see how badly the station is struggling in its current incarnation as religious WDCD. Last week, it filed for special temporary authority to go silent, with owner Donald Crawford Jr. telling the FCC that “WDCD will suspend operations for a period during which it will develop and prepare to deploy a new program format and reposition its voice and identity in the community.” Since last November, WDCD has been simulcasting on sister station WDCD-FM (96.7 Clifton Park) after the FM station dropped a low-rated oldies format in favor of the Christian talk that had been heard only on the AM station. *In Utica, CNYRadio.com reports Bob Cain is out as morning man at Townsquare’s WODZ-FM (96.1), with no replacement named. Over in Ithaca, Frank Lischak has returned to the GM chair at WFIZ (95.5) after serving as director of sales for “Z95.5″‘s sister stations in Geneva and vicinity. Lischak replaces Sean Cowley, who departs for family reasons. *In the Hudson Valley, Clear Channel has once again rearranged its simulcast lineup, swapping formats between its two small stations in Ellenville. In 2009, the country simulcast of WRWD-FM (107.3 Highland/Poughkeepsie) moved from WRWC (99.3 Ellenville) to WELG (1370 Ellenville), which became WRWD(AM). WELG had been mostly a simulcast of talker WKIP (1450 Poughkeepsie), and that format moved to 99.3 as WKIP-FM with separate Catskills local news and weather inserts. As of Thursday, country is back on 99.3, now as WRWB-FM, while the WKIP simulcast has moved to 1370 with new calls WJIP. And that’s not the only WKIP simulcast that appears to be in the works: on Friday, Clear Channel requested the calls WAIP for what’s now WHUC (1230) up in Hudson, suggesting that a flip from that station’s standards format may be in the works. *The developers of the new 1 World Trade Center skyscraper are once again pushing forward with plans to put FM and TV broadcast facilities on what will be the city’s tallest building. Those plans had fallen dormant for a few years as the stations displaced by the 9/11 attacks on the original World Trade Center settled in with new permanent facilities on the Empire State Building, 4 Times Square and other sites around the area. Last week, though, the Wall Street Journal and other business publications reported that the Durst Organization has signed on to manage broadcast usage of the new 1WTC tower – and there’s probably no NERW reader at this point who doesn’t know how aggressively Durst VP John Lyons has developed 4 Times Square as an FM/TV alternative to Empire. Even with Lyons and Durst on board, the new 1WTC may be a tough sell, especially to most of the city’s FM stations: even before 9/11, WQCD (101.9, now WEMP) had abandoned the Trade Center to return to Empire, citing concerns over multipath from the Trade Center location way downtown. Spacing issues may keep other stations from even being able to consider the move, though those same issues will likely compel at least one former Trade Center tenant to move back. 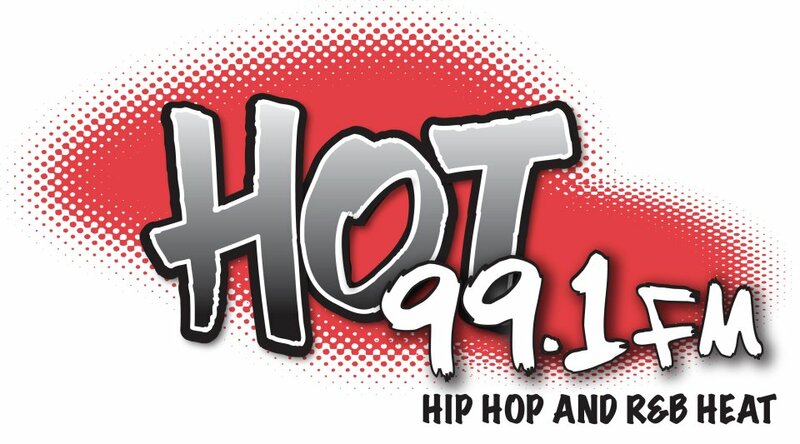 SBS’ WPAT-FM (93.1 Paterson NJ) is still operating under STA from Empire at reduced power, since it has been unable to negotiate a short-spacing agreement allowing it to be licensed uptown. And Columbia University’s WKCR (89.9), now using 4 Times Square as its main site, has publicly said it wants to go back downtown if the opportunity presents itself. WNBC’s not saying who will replace Simmons at 11, but the rumor mill seems to have settled on Shiba Russell, who came to WNBC from WCVB in Boston last year and has been anchoring at noon and 5 PM. *Radio People on the Move: After 15 years with the station, Morgan Prue has departed as music director and assistant PD at New York’s WLTW (106.7 Lite FM). She’s headed across the border to be the “brand manager” at Astral’s CJOT (Boom 99.7) in Ottawa – and yes, she’s a native of Canada with dual citizenship. Prue starts her new job April 2. Downtown at Emmis, Fred “Buggsy” Buggs gets a promotion: the producer of the Tom Joyner Morning Show is now the assistant PD at WRKS (98.7 Kiss FM). *Across the river in NEW JERSEY, former WABC programmer Phil Boyce is making his mark on his new station, Salem’s WNYM (970 Hackensack): on Friday, the low-rated talker began rebranding from “970 the Apple” to “970 the Answer.” The station has shifted its schedule a bit, too: local mainstay Curtis Sliwa now starts his show at 7 instead of 5 in the morning, ensuring that Sliwa is on WNYM’s 50,000-watt daytime signal year-round. Sliwa’s now preceded at 5 AM by Bill Bennett’s syndicated “Morning in America” and followed at 10 by Dennis Miller, then Dennis Prager at noon, Michael Medved at 3, then back to Sliwa (with Jeffrey Lichtman) from 5-7 PM. A low-power TV signal licensed to Trenton is bringing big bucks. NRJ LLC, the company that owns Boston-market WMFP and Connecticut’s WSAH, is paying $3.5 million to Gregory Zanoni’s WZBN TV LLC for W50DZ-D (Channel 50). Why the big bucks? For one thing, W50DZ isn’t transmitting from Trenton: it’s at the Wyndmoor tower on the north side of Philadelphia. And up there at the top of the UHF TV spectrum, it’s likely the spectrum W50DZ occupies will be worth even more money to wireless operators seeking more RF space – or at least that’s the speculation about NRJ’s intentions in most of the markets where it’s operating. *In the sideshow that was last week’s Rush Limbaugh media feeding frenzy, western MASSACHUSETTS played a sizable supporting role when WBEC (1420 Pittsfield) became one of two stations to drop Limbaugh’s show. “The nature of Rush’s programming has always presented challenges for us and he’s always pushed the envelope. But this time he’s taken it too far,” said WBEC general manager Peter Barry to public broadcaster WFCR Monday afternoon. WBEC temporarily replaced Limbaugh with Fox Sports Radio during the noon-3 timeslot, leaving listeners in the Berkshires to search out Limbaugh on Albany-market WGY or Springfield’s WHYN. And perhaps you’ve heard that Limbaugh’s nominal flagship station, WABC (770 New York), lost so much advertising that it was running dead air for minutes at a time Thursday? That story made the rounds of the blogs and the Twitterverse and quickly showed up not only on MSNBC’s Ed Schultz show but even in some radio industry trade publications that really should have known better – because it turns out that all of those reports trace back to a single deeply flawed source, a Thursday blog posting by Media Matters. While that group has been keeping an eye on Limbaugh’s content for years now, it appears not to have picked up much understanding along the way of how radio advertising works. All those PSAs and all that dead air on WABC? It was real…but only on WABC’s streaming audio, which is apparently what Media Matters was logging, and which always contains plenty of PSAs and dead air just like most every other radio stream out there. NERW, meanwhile, has confirmed that WABC’s broadcast of the Rush Limbaugh show contained no dead air and only a handful of PSAs and promos amidst a typically full spot load. So why did the “dead air on WABC” story gain such quick traction? No doubt for the same reason that within hours of Limbaugh’s initial attacks on Sandra Fluke, comment sections and message boards and Facebook posts were flooded with dead-certain assertions that the Georgetown law student was a “professional political agitator” who had testified before Congress about wanting to get “government money to have…” well, you get the point: when there’s a deep human desire to want to believe something, the desire to dig deeper for actual facts tends to be lost pretty quickly. But we digress, and in any event this is not a political column. The question at hand – what’s the future of Limbaugh’s massive affiliate reach? – won’t be decided right away, and it probably won’t hinge on how many listener letters and phone calls come in, or even in the short term on how many advertisers decide to move their spending to less controversial venues. So if Cumulus-owned WABC has been slow to challenge the “dead air” story (and so far, there’s been nary a peep that we’ve seen from the station to publicly contradict the idea that its ad space was empty on Thursday and Friday), could it be that the controversy is providing some useful cover down the road for a decision that Cumulus was already poised to make anyway? This is, we realize, deeply speculative. It may well be, as Limbaugh’s staunch defenders are insisting, that “El Rushbo” will emerge entirely unscathed. Limbaugh’s hefty contract with Clear Channel-owned Premiere appears, at least from the outside, to give the company considerable incentive to keep the show going. But it also appears to require equally hefty continuing revenue streams from both national ad sales and affiliate payments. And while some affiliates (like WIBX and CBS Radio’s WPHT in Philadelphia) say they’re solidly committed to sticking with the host widely credited with keeping AM radio alive in the 1990s, the launch of the Huckabee show as a less expensive option might tempt others to try a less controversial direction. Can Premiere sustain the Limbaugh show in its current form if it loses big Cumulus outlets such as WABC, WJR, WBAP and WLS? *The new sports host at Boston’s WEEI (93.7/850) is a familiar voice. Pete Sheppard lost his WEEI gig during a cutback at the station two years ago, but he was back on the air there Wednesday, appearing as a guest to promote his return to WEEI on the Sunday noon-3 PM shift. It’s not clear whether that will be a permanent slot for Sheppard or just a one-time appearance. Up at WXRV (92.5 Andover), midday jock Lisa Garvey is out. She’d been with “The River” for just over five years. Steve Rivers was one of the most colorful personalities ever to program top-40 radio in Boston, and even though it had been more than a decade since he moved on from the Hub, Rivers was still vividly remembered as news spread last week of his death. Rivers’ first programming gig in the region was at WGNG in Pawtucket (550, now WBZS) back in 1976, but he soon move on to program bigger stations such as KOPA in Phoenix, WAPE in Jacksonville, KMEL in San Francisco and KIIS in Los Angeles before returning to New England to program Boston’s WZOU (94.5, now WJMN) in 1989. Less than two years later, Rivers jumped to then-competitor WXKS-FM (Kiss 108), riding that station back to the top of the ratings and parlaying that success into a series of corporate programming roles. Rivers (real name: Carl Douglas) had most recently been working in Seattle as PD of KBKS (Kiss 106.1) before his health forced him to step down in 2008. He died Tuesday of cardiac arrest after several years of health problems. Over at MPBN public TV and radio, Lou Morin has departed as vice-president of marketing and public relations; no replacement has been named yet. 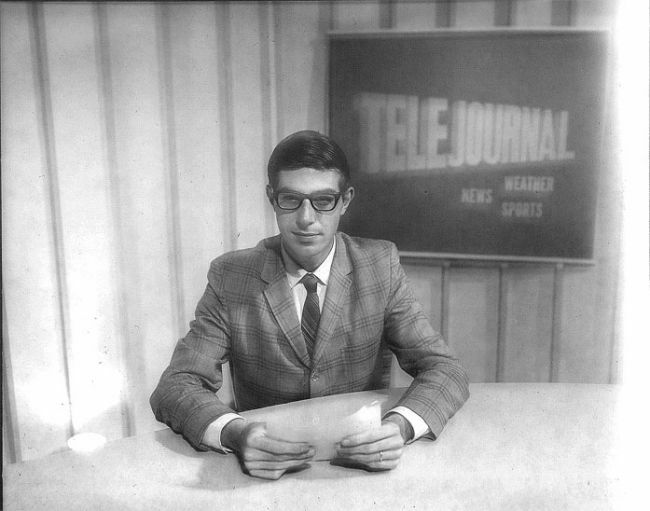 Back in the days when the newscasts at WABI-TV in Bangor were called “Telejournal 5,” Gordon Manuel was usually the man at the anchor desk, Manuel came to the CBS affiliate in the mid-1960s and eventually became the station’s news director. He departed in 1984 to do public relations for the Bowater paper company and eventually relocated to South Carolina, which is where he died February 27 at age 66. *Dave Ramsey has switched signals in CONNECTICUT, switching from a weekend clearance on CBS Radio’s WTIC (1080 Hartford) to afternoons on WDRC (1360 Hartford) and its “Talk of Connecticut” sisters, WSNG (610 Torrington), WWCO (1240 Waterbury) and WMMW (1470 Meriden). *There’s a new local sports show at Clear Channel’s ESPN outlet serving Hartford: WUCS (97.9 Windsor Locks) has picked up Mike Bower as its 4-7 PM host. Bower’s resume includes several California rock stations, Clear Channel’s WDFN (1130 the Fan) in Detroit and the “Wheelhouse” sports podcast; he’s also been a fill-in host on stations that include Boston’s WTKK. *There’s a new top-40 outlet in northwest PENNSYLVANIA, thanks to another one of those HD-subchannel/translator combinations. The new “i104.3” is W282BR, the translator Citadel bought from Bill Shannon last year. Back then, it was W285AI (104.9), but it’s being displaced by the upcoming move of WRKT from 100.9 to 104.9. And after Citadel had announced plans to use the translator to relay sports outlet WRIE (1260), the new Cumulus management is going in a different direction, using 104.3 to relay the HD2 channel from WXKC (99.9). Conveniently, the translator’s new frequency parks it just up the dial from Erie’s heritage top-40 signal, Connoisseur’s WRTS (Star 103.7). With 173 watts from the tower behind the WICU/WSEE studios on State Street, i104.3 won’t have Star’s big reach, but it should do a decent job of covering the city of Erie and nearby areas. *At the other end of the state, Merlin Media’s now the official owner of Philadelphia-market WKDN (106.9 Camden NJ), having closed on the $22.5 million deal last week. Unlike its “FM New” stunts in Chicago and New York, Merlin is taking its time before assuming operation of the station; it’s LMA’ing the signal back to Family Stations until new studios and a new format are ready. There’s an interesting application in front of the FCC to add a 5-watt booster in Pottstown for Drexel University’s WKDU (91.7 Philadelphia), but it’s unlikely to get much beyond the “interesting” stage. That’s because boosters have to be located within the parent station’s 60 dBu contour, which falls many miles short of Pottstown – and because they have to be owned by the parent station. This application came from one Eugene Tiefenbach of Pottstown, who has no apparent connection to WKDU. *In Reading, Cumulus is making another translator shift: it’s flipped W253AC (98.5) from a relay of Allentown’s WLEV (100.7) to a relay of “ESPN 1240,” WIOV. There’s a format change in the Chambersburg market: WPPT (92.1 Mercersburg PA) has flipped from “Country Legends 92.1″ to top-40 “92.1 Now” with new calls WNUZ. Pittsburgh-based Renda Broadcasting is slimming down its Oklahoma holdings. It’s selling its two Tulsa FMs, KHTT (106.9) and KBEZ (92.9), to Journal Broadcast Group for $11.8 million. Journal will end up with a four FM/one AM group (including the legendary KVOO-FM 98.5 and KFAQ 1170, the former KVOO AM) in Tulsa. In addition to its Pennsylvania stations, Renda also continues to own three stations in Oklahoma City and clusters in Jacksonville and Fort Myers, Florida. *In TV news, Scranton public broadcaster WVIA-TV has finally returned to the air on its assigned RF channel, 41, more than two years after a fire destroyed the station’s transmitting facilities on Penobscot Mountain east of Wilkes-Barre. Since then, WVIA has operated with the old RF channel 49 facilities of its next-door neighbor WNEP (Channel 16), which had moved from RF 49 to RF 50 in 2009. Thanks to the magic of channel mapping, WVIA has appeared as “channel 44” to its viewers the whole time, and they’ll simply need to rescan to continue seeing WVIA when the RF 49 transmitter shuts down. 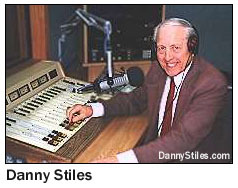 *Bill Kimble was a familiar voice on radio in Philadelphia from 1984 to 1998, when he was the night guy spinning the standards on “The Station of the Stars,” WPEN (950). Kimble had also worked at stations such as WNBF (1290 Binghamton, where he was also a kiddie-TV host at WNBF-TV 12), WEBR (970 Buffalo) and WARM (590 Scranton). He died last Tuesday (March 6) at age 81. Ferguson’s application also drew opposition from the existing broadcasters in the market, Astral’s CKBC-FM and Armand Roussy’s CJVA/CKLE, but the CRTC says those stations had nothing to worry about from a new 50-watt signal, and it says Ferguson can apply again for a more appropriate category of license. *In northern Ontario, Peter McKeown moves from general manager of Rogers’ North Bay stations to replace the recently-retired Rick Doughty as vice-president/general manager of the company’s entire Ontario North region, which also includes Sudbury, Timmins and Sault Ste. Marie. *The Cumulus-Citadel deal we wrote about in our February 21 issue has finally become official, at a price tag of about $37 a share. And at least for now, there’s not much we can add to our summary of how the deal shakes out in NERW-land – except to note that Boston and Philadelphia are conspicuous as the only two top-ten markets that won’t be represented in the new mega-Cumulus. *Back in New York – or rather across the river in NEW JERSEY – we have an update on W296BT, the itinerant translator that’s been migrating up and down the dial and across the metro area as it’s moved from its original spot on 107.1 in downtown Brooklyn. W296BT is now licensed on 106.5 in Union City, New Jersey, transmitting from a spot just above the western portal of the Holland Tunnel and sending most of its signal out over the Hudson River to be overwhelmed by first-adjacent WLTW (106.7 New York). But as we’d speculated, that’s merely a temporary way-station on the route to a more useful signal: W296BT has now filed to go to 99 watts, directional, on 106.3 from the roof of Four Times Square in midtown Manhattan. From there, the new 106.3 signal would go mainly east and west, delivering 60 dBu to most of Manhattan as well as a chunk of Queens and much of Hudson County, New Jersey. Will it continue its simulcast of WLTW’s HD2 country format, or is something new destined for that spot on the Manhattan dial? *It was a very quiet week in PENNSYLVANIA, which is why we’re beginning our Keystone State news with the $1 sale of an unbuilt AM station. That would be WMJQ (1450 Milford), which is nearing the April 8 expiration date on its construction permit – but rather than allowing it to lapse, Bud Williamson’s Digital Radio Broadcasting is transferring the CP to Williamson’s wife, Juli, which will buy an extra 18 months for the station to get built. *It’s usually not a big deal when a radio station owner LMA’s its signal out to another broadcaster – but when the station is a 50 kilowatt AM, the owner is Clear Channel, and the other broadcaster is a public radio station, why, that’s a lead story. It’s happening in western MASSACHUSETTS, where WFCR (88.5 Amherst) has been pioneering the whole public-radio-LMA concept for the last decade, leasing WPNI (1430 Amherst) from owner Pamal to run a separate slate of public radio news and talk programming for listeners in the Pioneer Valley who can hear the 5000-watt daytimer. Clear Channel, meanwhile, has the big signal of WNNZ (640 Westfield), which has been doing Fox Sports Radio – but now has some big FM sports-talk competition in the Springfield market in the form of WVEI-FM (105.5 Easthampton). How to do something productive with the 640 signal without cannibalizing Clear Channel’s news-talk market leader, WHYN (560 Springfield)? The answer will debut April 2, when Clear Channel begins leasing WNNZ to WFCR, which will move the WPNI program lineup down the dial to 640. By day, the 50 kW signal will cover much of western Massachusetts and big chunks of Connecticut and even eastern New York. At night…well, at least WNNZ, unlike WPNI, has a night signal, though its one kilowatt barely even reaches Springfield. Clear Channel will also sell some of the underwriting for the WFCR programming on WNNZ, apparently splitting the revenue with WFCR. The Springfield Republican reports that WFCR is building a studio at the WGBY-TV (Channel 57) building in downtown Springfield to improve its coverage of Hampden County, and that the Springfield Falcons AHL team will remain on 640 through the end of this season. So what happens to WPNI on 1430? Pamal is selling WPNI’s former sister station, WRNX (100.9 Amherst), to Clear Channel – in fact, WRNX’s studios move into Clear Channel’s Main Street studios this week – and the 1430 facility is apparently for sale. Down in Albany, Susan Arbetter is leaving WAMC (90.3) after 14 years to move into television at crosstown public broadcaster WMHT. Arbetter served as WAMC’s news director and as host of its “Roundtable” talk show; at WMHT, she’ll serve as host and producer of the weekly “New York Week in Review” public affairs show. That’s the joke they’re making at Philadelphia’s KYW (1060) now that the station has completed its move from its home of 35 years at Fifth and Market (source of the well-known “From Independence Mall” stager that’s become a Newsradio 1060 trademark) to the 10th floor of 400 Market Street, a block away. KYW made its move during the 2 PM newscast on Friday, with sister station WYSP (94.1 Philadelphia) following right behind. KYW-TV (Channel 3) and WPSG (Channel 57) will abandon the Fifth and Market building later this month for their new digs over at 15th and Spring Garden. NEW JERSEY’s Millennium Radio Group spun the dials of its Atlantic City cluster late last week, setting the stage for the rebirth of a powerful FM signal that’s been sitting dormant for years. WBSS (97.3 Millville) had been simulcasting the talk programming of WKXW-FM (101.5 Trenton) – until 3 PM last Friday (March 15), when the talk moved to Atlantic City’s AM 1450, long known as WFPG(AM). The “World’s Favorite Play-Ground” station changed calls to WKXW(AM) that morning, and began simulcasting “New Jersey 101.5” at 3, silencing an interim format that had consisted of a WFPG-FM (96.9) simulcast and a local morning talk show with Harry Hurley, who’s now out of work. On the FM side, WBSS picked up the modern AC format that had been running on co-owned WKOE (106.3 Ocean City), but without the “Shore” nickname. Instead, it’s “Mix 97-3” on both 97.3 and 106.3, at least for now – which has to be a little confusing for area listeners of “Mix 92,” WVLT (92.1 Vineland) and even “Mix 95-7,” WMWX in Philadelphia. Out of work on the FM side: former WKOE morning guy Mark Hunter and midday jock Tina Owen. With that, we can cross the Hudson to NEW YORK and the week’s other big story: after a few false leads (“V105,” anyone? ), Clear Channel pulled the plug on jammin’-oldies-turned-urban-AC WTJM (105.1 New York) Thursday morning at 6:05, unleashing a new hip-hop station on the Big Apple under the nickname “Power 105.” The format change puts Emmis’ WQHT (Hot 97.1) in the crossfires, especially with the addition of former WQHT morning team Dr. Dre and Ed Lover as Power’s new morning crew. It’s probably also bad news for Inner City Broadcasting’s WBLS (107.5), which has been the biggest competition for Hot until now. In Central New York, the big headline has been Phil Markert’s return to the airwaves, on simulcast WTLA (1200 North Syracuse), WTLB (1310 Utica), and WSGO (1440 Oswego). Markert was one of Syracuse’s best-known personalities before being dismissed from WHEN (620) four years ago. In a candid talk with the Syracuse Herald-Journal, Markert talked about his battles with alcoholism and gambling addiction — and about his recovery over the last few years. Meantime, eight applicants (among them former New York and New England broadcaster Peter Hunn) have queued up in hopes of getting one of the area’s last FM frequencies, 100.3 Sylvan Beach (about halfway between Syracuse and Utica). The 75th anniversary celebration at Schenectady’s WGY (810) has been marred by a nasty controversy over an ad published in the Albany Times-Union. The ad showed an African warrior, and read “Staying young requires an almost primal disregard for dignity and civility.” The local Urban League accused WGY of racism, and staged a protest rally against the station and talk host Mark Williams. The Times-Union apologized for printing WGY’s ad, and the station pulled a planned second appearance of the advertisement. Back to New England: Little WVAY (100.7 Wilmington VT) has thrown in the towel on independent programming. The eight year old station began simulcasting classic rock WKVT-FM (92.7 Brattleboro) on Monday morning. WVAY was hampered by a signal that served almost no populated areas, even with the help of its 104.7 translator in Jamaica VT.
Out on Cape Cod, WUOK (1240 West Yarmouth) has been transferred to Boston University, and is now a full-time simulcast of WBUR (90.9 Boston).